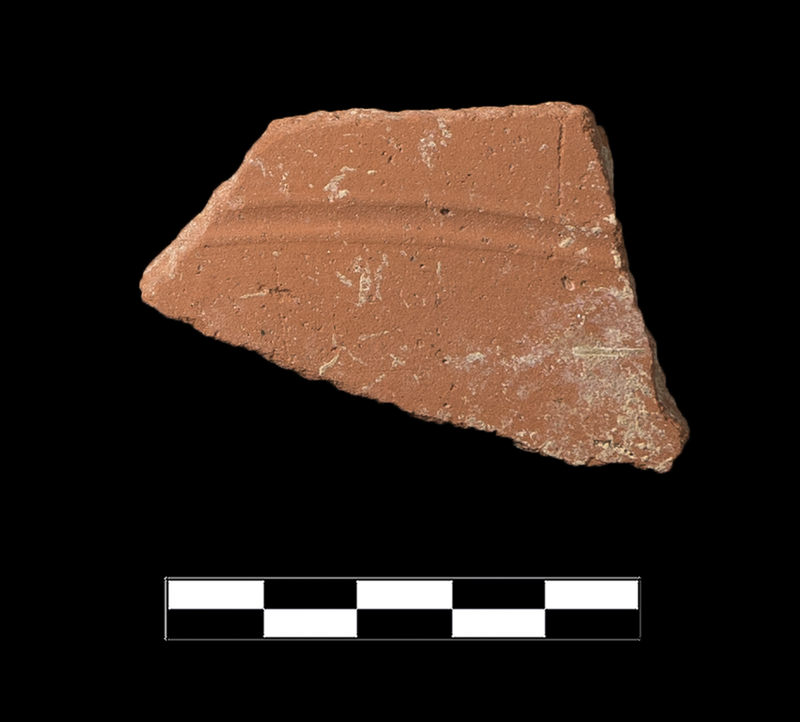 Single sherd with groove extant on exterior (not a vesitgal base). Slightly granular reddish fabric with very small reddish bits; occasional small light lime rounded chunks. Thick somewhat smoothed slip on interior, extant exterior plain.